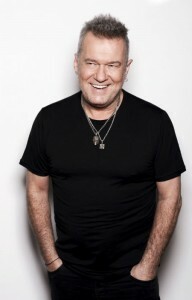 Part Three in our series of interviews with Jimmy Barnes – Australian music icon, lead singer of legendary band Cold Chisel, devoted family man and best-selling author of his childhood memoir Working Class Boy – A Memoir Of Running Away, see us talking about the theatre tour he has embarked on to share the songs and stories of his life while opening up a dialog about domestic violence and the need to create an awareness of this often-fatal epidemic. 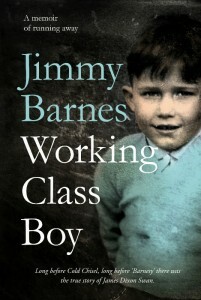 One of the things I got from reading Working Class Boy is that I can see where so many of your songs have come from. “Someone asked me if these stories are in my songs,” Jimmy replies. “I didn’t write about anything particularly about anything but every song I’ve sung has come from this book. Every time I need to tap into an emotion or I want to be angry or loving or afraid… every emotion I want to feel, I’ve gone back into these stories. I think that’s why people connect with those songs on a certain level – like a raw nerve. So many of your solo songs and those from Cold Chisel are anthemic for so many Australians and have been the soundtrack of so many people’s lives – mine included. Cheap Wine, for example, expresses that escapism as you ran away and sat on the beach, in the same way you describe that you did so often as a child. “The book really is a memoir of running away,” Jimmy says. “As a young kid I would run away to the beach… and I would run away inside my head. I would pretend I was someone else. I’d make people like me by pretending to be happy. As I got older I would run away from the violence at home and hide in the paddock near our house. I’d run away to the beach and stare at the sea. “As I got older I used to run away in a bottle and get drunk. Even as an adult, that went on for a long time – running away and just trying to stop the thoughts of the past in my head, trying not to think about who I was, where I came from or why I felt like I did. One of the things the book has finally clarified is the constant insistence that you and John [Swan] are step-brothers or half-brothers. But this is not the case. Like him, you were born a Swan to the same mother and father, but you chose to change your name when Reg Barnes married your mother. I really want to hug Reg Barnes – your stepfather – for coming into your lives and helping to make it better. We move our discussions to the Working Class Boy Theatre Tour and what audiences will experience at the performances. “All throughout my life, there have been songs that are markers in time,” Jimmy recalls. “I remember my granny singing when I was only three, or my dad singing when he’d have a few drinks and got a little teary, or songs that my mum sang when she was trying to give my dad the message to get lost. There were also the songs I heard on the radio when I was sitting on the jetty or as a young migrant. The songs I’m performing in the show are not necessarily ones that I wrote, but they are songs that were part of my growth as a human being and part of me becoming a singer. Jimmy will be performing with daughter Mahalia, son Jackie and Ben Rogers – Mahalia’s husband. “It will be great singing these songs from my childhood with them,” he enthuses. “They’re the connection for me. I can look at them and see myself as a young person in them. Part of their strength is that they sound great and they are family, but part of it’s great because they are like the wire linking us all together. This tour also supports the Luke Batty Foundation, which certainly goes hand-in-hand with everything you talk about in your book. “Part of what made me think of this whole issue of domestic violence, which is such a big part of this book, was seeing Rosie Batty talking about the tragedy of how she lost her son and the hands of his father, and how she dealt with it with such dignity,” Jimmy says. “Instead of being overwhelmed by the loss and letting the act of that violence define her life, she used it as motivation to get up and try to stop other people from living the same thing. You have a very public voice and it’s good that you use it to create awareness. Thank you. “I think it’s great that people are talking about it and getting it out there,” he says. “If you see your neighbours out there, reach out to them. Domestic violence happens because it’s kept quite; kids are ashamed that their parents are fighting. Men are ashamed that they hit their wives. Wives are ashamed that they are staying violent spouses or that they don’t want people judging their partners. But the violence has to be spoken about. So, if you see people who you think are suffering, please talk to them; talk to your friend, to your family, to your neighbour. As people, as human beings, we need to communicate. 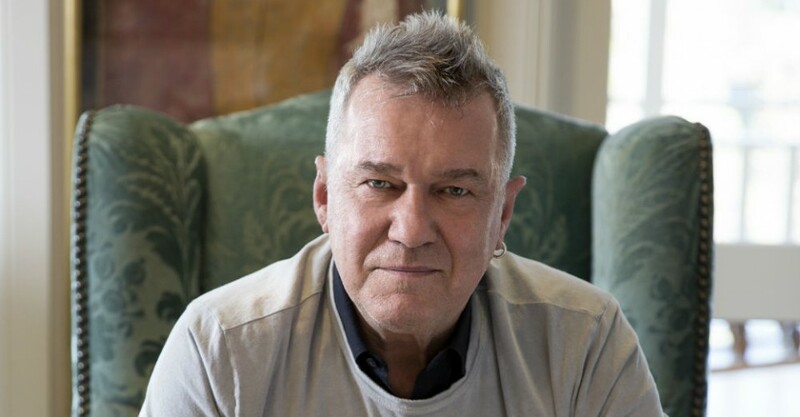 Jimmy Barnes performs Working Class Boy: An Evening Of Stories & Song at Her Majesty’s Theatre from 8pm on Fri 25 Nov [SOLD OUT] and Brenton Langbein Theatre, Tanunda, from 8pm on Sat 26 Nov.
Book at ticketmaster.com.au. Click HERE to purchase your tickets [Tanunda performance only].